I am a hardware, or more specifically cabinet 'knob' junkie. 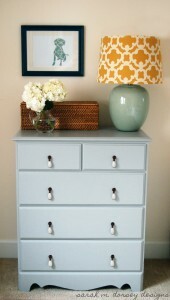 I love how they can completely change the look of my furniture. Well, that and then sometimes some paint as well. A knob is very personal because you not only have to love the look, but the feel of it as well. It's really important it fits your fingers. 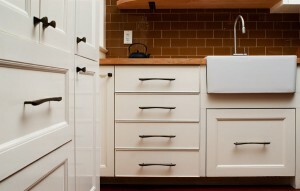 The biggest dilemma I had a few years back and mentioned in this blog entry, was choosing two little knobs for my bathroom renovation. I loved the look of what I got but forgot about the feel and they have thus been changed three times. Yesterday I got these at Zara Home, now opened at Yorkdale. I bought them for my desk, but they too didn't fit my 'fingers'. Hmm, I need to take my own advice. But I loved them so much! So... I have put them in my bathroom... change number four! Guess we're back to good look not great feel. But hey, it is an inexpensive change and makes me happy. So for now, yet again, I made a little change that has a big impact. 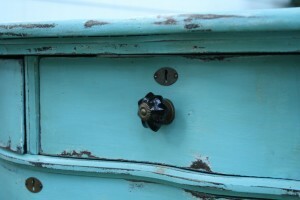 Here are some great examples of what a knob can do for a piece of furniture. 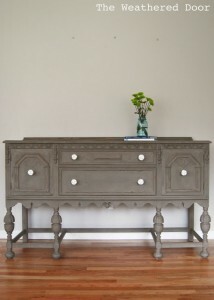 These Anthropolgie knobs are perfect on this old painted dresser.